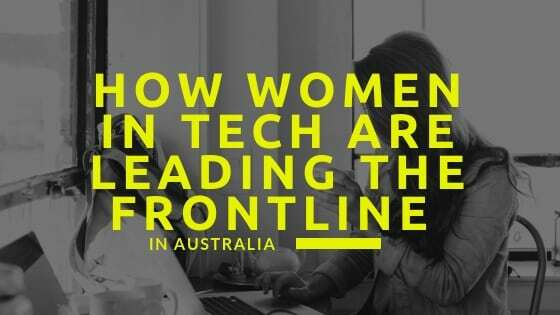 What’s the State of Women in Tech in Australia? Want to know who’s in hot demand in tech right now? We’re not talking about blockchain engineers or Android specialists. We’re talking about women… women in tech. Let’s get it, girls. Your future awaits. Could you imagine trying to work on a team where everyone is your clone? Not only might you miss key aspects of a project; you could just end up with an output that is only useful to you (and you, and you…). Echo chambers miss points and aren’t very useful to anyone – which is why workplace diversity is so important for business. Whether it’s women, people of Aboriginal and Torres Strait Islander heritage, or LGBTQ peeps, the more rich the workplace in terms of people’s identification, history, and experiences, the more insight that can be brought to an organisation’s output. Put simply, a diversified workforce can help companies achieve more. Knowing this, it’s not hard to understand why PwC’s Global Diversity & Inclusion Survey 2017 shows that 87% of companies have diversity and inclusion as a key value within their organisation. Australian workplaces such as MYOB, KPMG, Telstra, and Commonwealth Bank have diversity initiatives as part of their very fabric. Just what sort of diversity initiatives are happening for women in technology in Australia, though? “MYOB has the DevelopHer program that transitions women into the tech industry by supporting them to gain the required skills to take on a role in the development team at MYOB”, says Elson. Have some time on your hands? Check out 50 Must-Read Articles on Diversity in the Workplace: Valuable Insights on the Challenges, Benefits, and Best Practices for Cultivating Diversity. Inclusion of women in tech – how are we tracking? There are plenty of articles out there championing women in technology, such as Biztech’s Mothers of Technology: 10 Women Who Invented and Innovated in Tech. But the inclusion of female narratives in changing the path of tech seem few and far between. Why’s that? While tech has generally been seen as a boys’ club, women employed in ‘Computer System Design and Related Services’ in Australia has been on the decline since parity with the guys way back in 1990, according to research from The Australian Bureau of Statistics Labour Force sampling. In fact, figures show that there are three men currently working in this sector to every one woman. What’s up with that? While there’s been a big push for women to get into STEM, we’re still highly underrepresented in the field, despite initiatives such as Code Like a Girl and plenty of scholarship opportunities. In fact, in 2017, “women made up less than one in five students earning degrees in information technology (17.0%) and engineering and related technologies (15.6%)”. Women in technology have long been seen as unicorns. Back in 2010, women in Linux were playing up to the absurdity, with the female-first Haecksen mini-conference as a part of linux.conf.au – the t-shirt bearing the Linux penguin as a unicorn. Marta Higuera, co-founder and co-CEO for OpenAgent says “We walk the talk: we have two female co-founders and co-CEOs and a female COO. Our female ratios and the diversity of our leadership and technical team tell us we are enabling women in their careers and providing an environment where they can grow and develop”. What does this mean for women with even the slightest interest in tech? As a woman with a vague interest in the maths side of STEM you will be able to add this all up. It means, simply by being female, you’re already at a significant advantage. You may be more likely to study at a reduced rate (or for free) and bag that job, and climb the ladder. Don’t tell the guys. Once you have your foot in the door, of course, you need to keep your wits about you. Unfortunately, in some workplaces, there’s still the double standard for women in IT. What’s meant by this? The double standard that we’re referring to is women and men in tech being perceived differently for exhibiting the same behaviour. A man seen as assertive may be a woman seen as aggressive. Dissolving the notions that women need to be kind and gentle, and men need to take control and steer, is taking some time still, it seems. Gender roles prevail. Sigh. In 2014 research via performance reviews, a small study found that men received more constructive criticism, whereas women received more criticism of perceived personality traits – and this was regardless of the gender of the performance review assessor. It seems we’re as much our own worst enemies, too. So, how can you escape this double standard? It’s all about the way that you market yourself. Do you become “one of the guys”, so you’re seen as having a more masculine personality? Do you do emotional labour (i.e. tone it down) to get ahead? It can be tricky to navigate. However, as we’ve become masters of crafting our online identity on social media, you can employ similar techniques in the workplace to position yourself to be seen in a certain way. Leave “ringing true to yourself” for your IRL personal life and the type of work projects you pursue. If emotional labour is what it takes, so be it. Be aware that others may still be viewing you under what you assume to be outdated gender roles. As we can see from the inclusion of an abundance of diversity initiatives across all sorts of organisations, and mandates from above to get more women in tech, there will be more and more women in technology in Australia, and in senior tech positions. What this means is that working conditions are becoming more flexible to allow women to have a greater work/life balance. Traditionally, it was either work and put the kids in daycare, or stay home. There are now initiatives aimed at helping get women back into the workplace sooner, while providing the support and assistance they need to raise young children – such as the flexibility to work from home, part-time, or even providing on site childcare. With initiatives like these in place, we can hope to see women in technology less as unicorns, and more as founders of unicorn startups, like Melanie Perkins of Canva. If you’re actively looking for a new role in tech, check out the diversity initiatives at companies you’re interested in working for (like EY careers! ), to see whether they’d be a good fit for your lifestyle and ambitions. This is a prime time to be a women in technology in Australia, so get out there and get involved!